At Crit Hit, we celebrate a legacy of adventure. From Original D&D to 5e, we love all the editions. (Yes, even THAC0.) 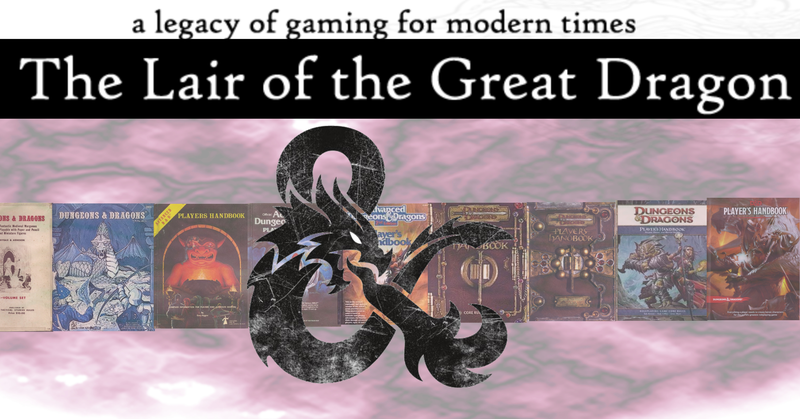 We are proud to announce that Frog God Games and Gateway Games partnering up with Crit Hit to bring you The Lair of the Great Dragon. Like White Box style play? Then you'll want to try out Swords & Wizardry (a retro-clone of the original White Box, with cleaned up rules that are easy to read)! Want to play Basic Red Box D&D? We got you covered with Labyrinth Lord. Love 3e or 4e, we got them too! We are currently lining up 3rd party publishers of adventures as well as publishers of retro-clones to bring to Crit HIt. Play the world's most popular RPG and find out what the hype is all about.